Find rehab for substance use disorders in the Fort Lauderdale area. Discover sober living options, recovery resources and alcohol and drug prevention programs in Broward County. If you or someone you know needs substance abuse treatment, there are certified addiction rehab centers in Fort Lauderdale and Hollywood. Learn about local rehab facilities below, or find Alcoholics Anonymous or Narcotics Anonymous meetings to support your recovery efforts. If you’re unsure about whether you need addiction treatment or you’re trying to convince a loved one to seek assistance, several resources in Broward County can aid you. Colleges and universities in Fort Lauderdale provide resources for students to overcome substance use disorders or to find treatment for alcohol or drug addiction. Nova Southeastern University provides counseling for students who require treatment for substance abuse or other mental health issues. The school also offers substance abuse treatment for the public, and NSU’s Adolescent Drug Abuse Prevention and Treatment Program rehabilitates adolescents who have been arrested for minor offenses, have a substance use disorder or are at risk for developing one. Broward College promotes a substance-free student and work environment and provides drug and alcohol abuse awareness programs and counseling. The Student Assistance Program on Broward College campuses provides counseling sessions with a licensed mental health professional and referral services to health providers in the community. Faculty members are eligible for counseling services, too, through an Employee Assistance Program. If you need help convincing a friend or family member to seek treatment for his or her addiction, contact a certified interventionist near you. Jack Bloomfield is a certified ARISE interventionist. He and his associates at A Design for Living in Coral Springs, Florida, assist families affected by addiction through the three-month ARISE intervention process, which has been proven to convince more than 80 percent of addicts seek treatment. Karen Rainer is a certified interventionist with The Circle of Care Consultants in Broward County. She assists families through the intervention process and can provide case management, legal advocacy and referral services to connect individuals to treatment providers. The Guardian Recovery Network helps families with interventions and individuals with case monitoring and life skill development. Broward County has taken a proactive approach toward helping residents overcome addiction by developing a toll-free referral hotline and a court alternative program for nonviolent offenders. Broward County’s Drug Court Treatment Division has a pretrial intervention program designed for first-time, nonviolent offenders charged with a drug-related offense. It also has a diversionary treatment program to direct felons with substance-related conditions to treatment instead of prison. Each program requires one year of treatment that includes education, therapy, screenings, vocational referral and transitional housing services. The 2-1-1 Broward helpline assists individuals and families in crisis. The free 24-hour helpline connects individuals with health care services such as substance abuse treatment. It can also help people affected by addiction find temporary housing, financial assistance and other services. Looking for Help in Your Area? After completing treatment in Fort Lauderdale, you can access numerous resources in Broward County to help you maintain sobriety and return to work or school. Sober living homes have been proven to help people in recovery maintain sobriety and succeed at work or school. The Florida Association of Recovery Residences certifies sober homes that meet recommended standards, but other homes in Fort Lauderdale may also provide the support you need. Several community organizations in Broward County can prepare you to return to work or school after receiving substance abuse treatment. Broward Community Schools is a network of 17 schools in the Fort Lauderdale and Hollywood area. The schools serve more than 200,000 students each year with citizenship programs, high school classes, GED prep courses and adult and family literacy programs. The Broward County Library’s Learning Services department provides literacy classes to all Broward County residents. The library also offers an online high school where residents can pursue a high school diploma or career certificate. The Dave Thomas Education Center in Coconut Creek offers adult basic education, GED and ESOL courses for individuals ages 16 and older. It also hosts a teen parent program designed to allow teenagers complete high school while their children attend a child development program. There’s an abundance of sober activities in the Fort Lauderdale and Hollywood area. South Florida has incredible amenities and natural beauty that make it an appealing place to live while receiving treatment. Fort Lauderdale and Hollywood residents have access to some of the world’s most beautiful beaches. State Road A1A, one of Florida’s scenic highways, is home to energetic atmospheres near fabulous restaurants. Hugh Taylor Birch State Park gives visitors a quiet beach to enjoy. Anglin’s Fishing Pier is an excellent place for recreational activity, and Dr. Von D. Mizell-Eula Johnson State Park is near a white sand beach and the Stranahan River. The Fort Lauderdale and Hollywood area is home to outstanding local state parks. Topeekeegee Yugnee Park, nestled between Fort Lauderdale and Hollywood, gives visitors an abundance of recreational opportunities. Castaway Island Water Park is an ideal venue for camping. The Everglades and Francis S. Taylor Wildlife Management Area provides unmatched opportunities to enjoy the Florida outdoors. The various districts of the Fort Lauderdale and Hollywood area have numerous shopping and restaurant options. Sawgrass Mills, the largest outlet and value retail shopping destination in the U.S., is located 30 minutes from Fort Lauderdale. Las Olas Boulevard in the heart of Fort Lauderdale gives patrons fantastic dining options and boutique shops to explore. Downtown Hollywood and Fort Lauderdale feature tree-lined boulevards full of shops and cafes. Hard Rock Stadium, home of the Miami Dolphins, University of Miami Hurricanes and the Orange Bowl, gives football fanatics options for almost any type of football event they would like to attend. World-class golf courses can be found throughout Broward County, and water taxis in the Fort Lauderdale area provide a fun and interesting way to get around the city. Despite being a massive recovery community, Broward County has one of the highest rates of illicit drug use in the state. It was once home to a plague of pill mills, but a crackdown from law enforcement stifled much of the prescription pill trafficking in the area. As a gateway to South America and the Caribbean, it’s still a hub for illicit drug trafficking. In 2014, Broward County led the nation in the number of Flakka cases reported to crime labs, according to a 2015 report from the Sun Sentinel. Flakka, also known as alpha-PVP, is a synthetic drug similar to bath salts that can cause hallucinations, paranoia and agitation. It killed 27 people in Broward County between September 2014 and June 2015. As prescription painkiller abuse declined, heroin abuse increased. 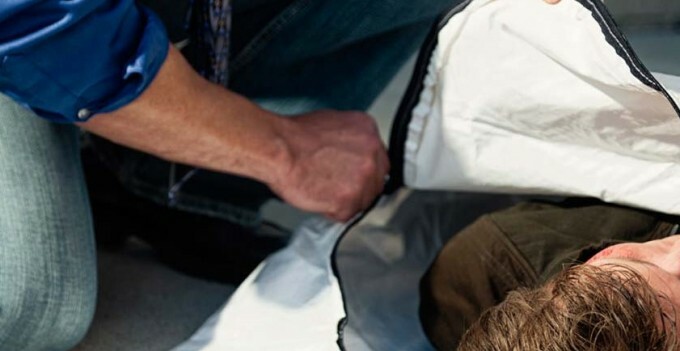 Heroin hasn’t caused as many overdose deaths in Broward County as it has in other parts of the country, but heroin overdoses increased dramatically from 2011 to 2014. Treatment admissions for prescription opioids totaled 686 in 2014, down from a high of 1,459 in 2011, but heroin admissions increased from 128 in 2013 to 212 in 2014. Cocaine abuse has remained a stable but widespread problem in Broward County for years. In 2014, there were 298 treatment admissions for crack and 173 for cocaine, accounting for 7.4 percent of all publically funded primary treatment admissions. That was a small decline from the 8.8 percent of admissions that crack and cocaine accounted for in 2013. The Fort Lauderdale, Hollywood and Broward County area is a region dedicated to fighting drug abuse. Government entities and nonprofits alike have teamed up to create programs and systems to curb substance use in the area. In 2015, Broward County law enforcement and local organizations announced a collaborative effort to fight the growing Flakka epidemic in South Florida. The anti-Flakka campaign focuses on prevention by educating area residents of the drug’s dangers and training emergency response and medical officials how to properly treat and handle individuals on Flakka. The United Way of Broward County has enacted a number of its own initiatives to address substance abuse in the region. The United Way of Broward County Commission on Substance Abuse has created seven community Action Teams that focus on combating substance use in the area. Initiatives include promoting a substance-free prom experience with Prom Promise, working with the Florida Legislature to increase funding for behavioral health services and creating a Syringe Exchange Pilot Program. The Broward County NOPE Task Force is a network of community leaders and law enforcement that goes into Broward County middle schools, high schools and colleges to deliver personal and direct presentations about the consequences of substance abuse. During presentations, a police officer explains the grim task of making death notifications to devastated families who have lost children to drug use. Operation Medicine Cabinet is a Broward Sheriff’s Office program that focuses on combating prescription drug use in Broward County. 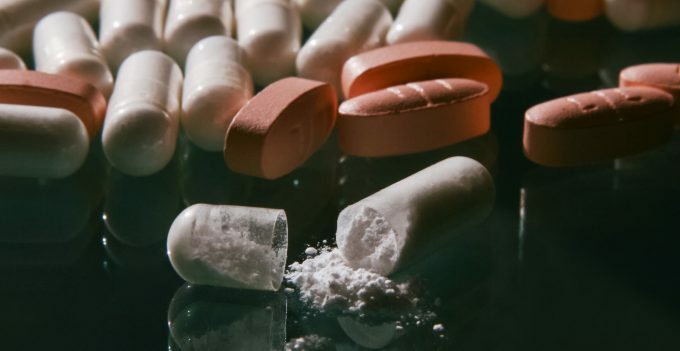 The three-pronged approach focuses on increasing law enforcement efforts to target pill mills and prescription drug traffickers, educating the public about the risks and dangers of prescriptions drugs, and hosting events that encourage residents to safely dispose of any unused, expired or unwanted medications. The Fort Lauderdale Police Department has installed prescription drug collection boxes around the city that allow residents to drop off or discard any unwanted or unused medications. These mailbox-sized containers allow residents to safely dispose of their prescription drugs, thus preventing the potential for abusing the medications. For more than 20 years, Project Pride has been conducting successful drug abuse prevention programs in Broward County that aim to reduce early initiation of drug use in school children. Project Pride programs focus on young children and senior citizens, targeting overlooked populations of traditional drug-prevention programs. The core message of Project Pride is to promote self-esteem and self-worth. The Diversity, Prevention and Intervention Department of Broward County has developed prosocial clubs to engage students and prevent drug abuse. These clubs, consisting of students under the guidance of a BCPS faculty member, meet regularly to work toward a common interest and aim to build self-esteem and promote positivity in students. The National Alliance on Mental Illness in Broward County strives to reduce the stigma associated with mental health disorders. It hosts support groups and educational classes for people affected by mental illnesses, and it advocates for legislative changes in the community and state. NAMI Broward County also provides information for people who live with a mental illness or care for someone who does. SMART Recovery is a self-help program for people in recovery from substance use or other addictive disorders. The Pride Center in Fort Lauderdale and The Hollywood Beach Community Center in Hollywood each host two SMART Recovery meetings each week.